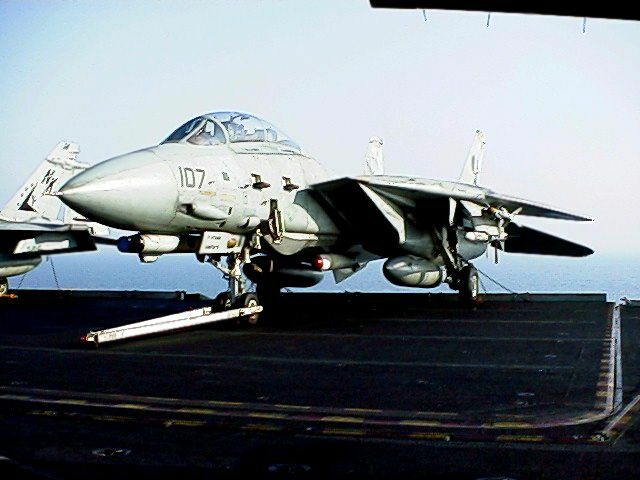 Fully loaded with live ordnance NK107 sits on a deck edge elevator. USS Abraham Lincoln, CVN-72. 1998 WestPac cruise.